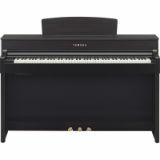 Yamaha’s Clavinova series is a popular line of digital pianos with the public, as they’re known for their realistic piano sound and feel. The aim of the Clavinova is to be as close to a real acoustic piano as possible, and with each model, Yamaha gets closer and closer to that goal. In fact, with Clavinovas, you get the best of both worlds because you are almost getting an acoustic-like piano experience, as well as a digital piano with unique effects like sequencing and recording. Clavinovas have “graded hammer” technology, which is a mechanism of metal hammers that are weighted to replicate the weighted keys on an acoustic piano. Yamaha’s attempt to truly replicate the feel and touch of a “real piano,” especially with the later models in the Clavinova line that feature wooden keys, help make the CLP series a standout. 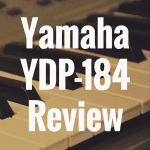 In this article, we’ll discuss, review, and compare three digital pianos in this series: The Yamaha CLP-545, the CLP-535 (which is a step down from the 545), and the CLP-575 (which is a step up from the CLP-545). 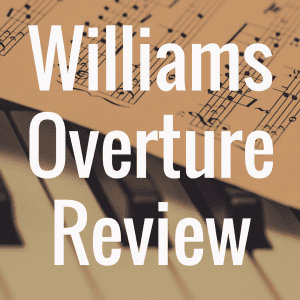 By the end of this article, we hope you come away with a strong understanding of what you can expect out of this piano, and if it’s worth your money and time to invest in it. 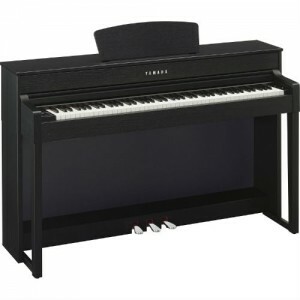 The Yamaha Clavinova digital piano lives up to its well-known name–a name that has been associated with high-quality instruments for over a century. The Clavinova CLP-545 is an 88 key digital piano made for home use, and is moreso aimed at intermediate to advanced pianists (if you want an upright Yamaha but see yourself as more of a beginner, you can still acquire a great piano by checking out the Yamaha Arius line of piano). As for the 545, the realistic feel and sound of the instrument is excellent, and is almost the same as having a real acoustic piano in your home. Almost. Because at the end of the day, nothing can ever truly replicate the amazing beauty and sound of an acoustic piano. This digital piano has a Natural Wood (NWX) keybed, whose keys are cut from the finest wood and then dried to be used in the instrument. The NWX action uses the same hammering system as a grand piano and also features a three-sensor configuration to sense and respond to how hard or soft a key is played. The NWX also has an escapement mechanism, mimicking the feeling of the jack let-off and the hammer falling as a key is played. All this makes the Clavinova CLP-545 feel like you have a grand piano right in the comfort of your living room. Covering the wood are synthetic ivory keytops that, again, strive to recreate the acoustic piano feel. The CLP-545 features Real Grand Expression, a phrase Yamaha came up with to describe the authentic feel and sound of the piano. Using 3 components: the sound, touch, and pedals, and combining it with the technology Yamaha is known for, Real Grand Expression is meant to make you feel like you are playing an acoustic grand piano when you play this instrument. The grand piano sounds feature the Yamaha CFX and the Bosendorfer Imperial concert grand, made from the renowned Austrian manufacturer. The physical cabinet housing the keyboard has been made to maximize the instrument’s resonance. This happens through tone escape ports that are in various areas in the cabinet. The body also has Acoustic Optimizers to regulate tone and sound flow throughout the range of the keyboard. The sound of both of these instruments is superb and authentic, making the Yamaha live up to its Real Grand Expression claim of authenticity. One really cool feature on the CLP-545 is the 16-track sequencer and 250 song recorder on the piano, allowing you to use the keyboard as a workstation and create multi-layered compositions. Then, using the USB port, you can use your flash drive to save your audio as WAV files and playback on your computer or portable music player. With dual headphone outputs, you can practice without disturbing anyone, and when you do play without the headphones, the CLP-545 employs something called Intelligent Acoustic Control (IAC), which lets you regulate the speaker volume while balancing the sound at lower levels so you don’t miss out on any treble or bass. Simply put, the CLP-545 is an excellent instrument that is very close in sound and feel to a real acoustic piano. At the very least, it’s as close to the real thing as you’re going to get without purchasing an actual acoustic piano for two, three or four times the price of the 545. Let us now look at the CLP-535, a similar instrument to the CLP-545. 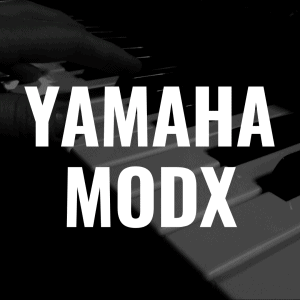 Like the CLP-545, it samples the Yamaha CFX and the Bosendorfer Imperial concert grand piano. The CLP 535 uses the GH3X (Graded Hammer 3X) keyboard which features plastic keys, instead of the Natural Wood (NWX) action seen within the 545. This GH3X replicates the touch of an acoustic grand piano by using a hammer mechanism with no strings. It also features the three-sensor function that is sensitive to the player’s touch, as well as the escapement mechanism. Also like the CLP-545, the keys are covered with Synthetic Ivory keytops. The CLP-535 has the same resonance as the CLP-545, as it uses the same process of tone escapement places located throughout the instrument and it, too, uses the Acoustic Optimizer to regulate tone and sound flow. The polyphony count is also 256-keys. One difference between the two keyboards is that the CLP-535 does not have any rhythm function, while the CLP-545 has 20 available rhythms. The CLP-545 also has a Stereophonic Optimizer for headphones, while the CLP-535 does not. The design of the two keyboards is quite similar too, with the control panel on the left-hand side with an LCD screen. Basically, the two keyboards are almost identical, with some slight additions (though depending on each person, they additions can be quite significant to your overall enjoyment) in the CLP-545. The CLP-575 features the NWX keyboard with synthetic ivory keytops. It is fully weighted with each key weighted differently, and returning to its normal position slightly differently, in an attempt to recreate the feel of a grand piano. It also samples the Yamaha CFX and Bosendorfer for its grand piano sound, touts 256 notes of polyphony and 34 voices, including electric pianos and organs. The CLP-575 comes with three pedals, the GP Response Damper Pedal reproducing the feeling of a grand piano with its acoustic piano-like resistance when pressed. The CLP-545 and CLP-535, by contrast, do not have the GP Response Damper Pedal. However, the CLP-545 and CLP-535 do have damper resonance and string resonance while the CLP-575 does not. The CLP-575 also has Virtual Resonance Modeling, while the other two pianos do not. Like the other instruments, the CLP-575 has the Intelligent Acoustic Control (IAC) to maximize the quality of tone regardless of volume level. It also shares the 303 lesson songs, 16-track recorder and USB audio recorder. Like the CLP-545, it has 20 rhythms and a Stereophonic Optimizer when using headphones. Like both the CLP-545 and CLP-535, the CLP-575 has the Acoustic Optimizer feature for great resonance throughout the body of the instrument. The sound of the CLP-575 is superb, too, although it sounds quite similar to the CLP-545, and CLP-535, in my opinion. The grand piano sounds are rich and full-bodied with resonant low notes and shimmery high notes. The CLP-575 is the latest in the CLP series, but there really isn’t much difference between the CLP-575 and the CLP-545. The CLP-575 is almost twenty pounds heavier than the CLP-545 at 154 pounds and the CLP-545 at 134 pounds. 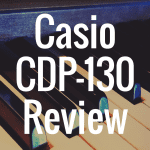 Though there are a few things the CLP-545 has that the CLP-535 does not, and while there are a couple features the CLP-575 has over both the 545 and 535, the truth is that all pianos are top-notch, high quality instruments. And when you choosing which to get, it really comes down to two things: how much money are you willing to spend, and what small handful of features are you willing to sacrifice (or potentially gain), which is of course a very individual and personal decision. So be sure to take your time before making a decision or any purchase. 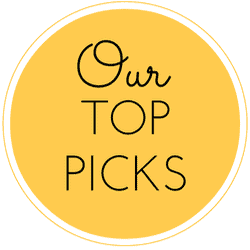 Please also like us on Facebook! 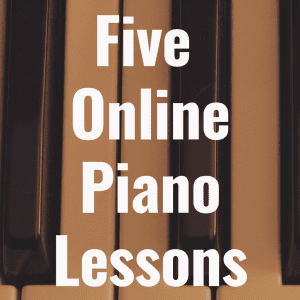 And make sure you bookmark our website to get more up-to-date reviews on digital pianos. 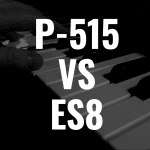 Yamaha P515 vs Kawai ES8: Which Portable Piano is Best?